You’ve made the wise decision to locate your asset protection plan offshore. The number one question you need to ask yourself before you work with a Trust Company is this: Does this company and its jurisdiction understand compliance? 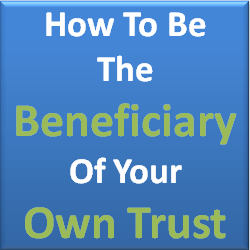 If you are settling a trust without knowing the answer to this question, you are leaving your assets and your asset protection plan in jeopardy and potentially creating trouble for yourself with the IRS or your local revenue authority. Put simply: Compliance is a good thing. With FATCA here to stay, and FATCA like initiatives being discussed and implemented in other countries besides the US. your assets are not safe without a Trust Company that is well versed in both US and local regulatory matters. Furthermore, the local jurisdiction itself must have a pro-compliance mindset in order to maintain its position in the asset-protection industry. Compliance covers a number of different operations. Agora Trust Ltd is based in Anguilla. One aspect of our responsibilities is to comply with Anguilla’s rigorous Know-Your-Customer regime. These laws ensure that individuals and entities engaged in illicit behaviour are not able to use Anguilla’s asset protection legislation to their benefit like some other jurisdictions are known to do. Agora Trust Ltd’s rigorous enforcement of these regulations ensures that everyone is protected. Certain jurisdictions have reputations as “cowboy” jurisdictions where anything goes. Fortunately, Anguilla is not one of those. Not only do we not want to do business in “cowboy” jurisdiction but you shouldn’t either. If your assets are in a non-compliant jurisdiction with a non-compliant Trustee Company, they – and therefore you- are immediately suspect. When that happens, it is more difficult to open bank and brokerage accounts, and you are more likely to fall under scrutiny in your home country. 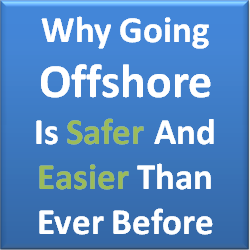 FATCA has created an entire new dynamic for offshore compliance. If your Trust Company is not FATCA compliant, then any US dollar payments of income to any of your trust accounts is at risk for an automatic 30% withholding tax. This is true as well if your trust assets are in banks and brokerage accounts that are lax on compliance. FATCA has also created a requirement that offshore trusts themselves must register as Foreign Financial Institutions – unless, that is, your Trust Company registers on your behalf as a sponsoring institution. We can handle all of your FATCA compliance for you at no extra charge.